p.s. doesn't M look cute in his little bow tie? I think I got him that for Christmas.. or his birthday I can't remember. He is really good at Piano and he love his music so.. there you have it! 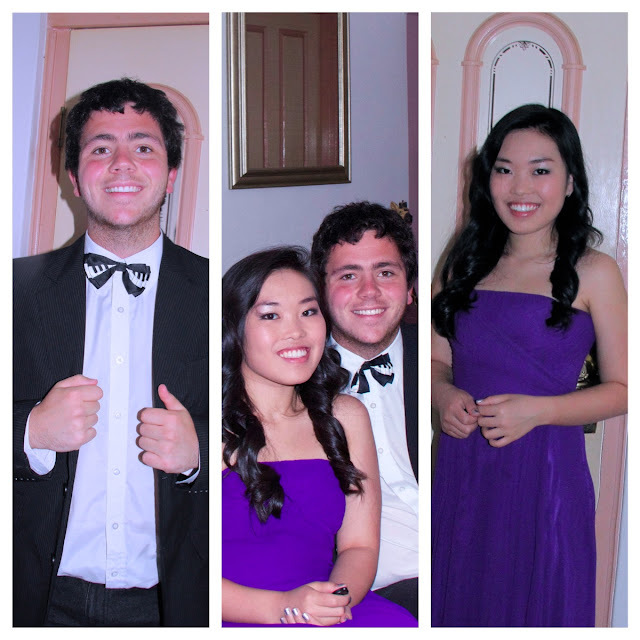 Oh and it matched that night's DJs tie, except theirs were the normal long ties.. not bow ties.. bow ties are cool. You both look so nice! Love the color of your dress :) I am definitely in favor of pre-exams celebrations!